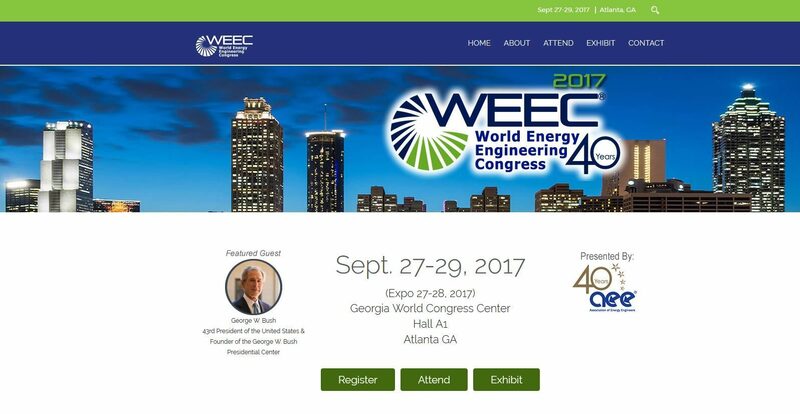 The Association of Energy Engineers presents WEEC 2017 featuring special guest and former President of the United States, George W. Bush. See official conference agenda for full schedule and list of speakers. WEEC 2017 offers a conference, seminars, expo, and workshops. The World Energy Engineering Congress (WEEC) is the largest energy conference and technology expo held in the U.S. specifically for business, industrial and institutional energy users. See official website for more information and list of exhibitors.